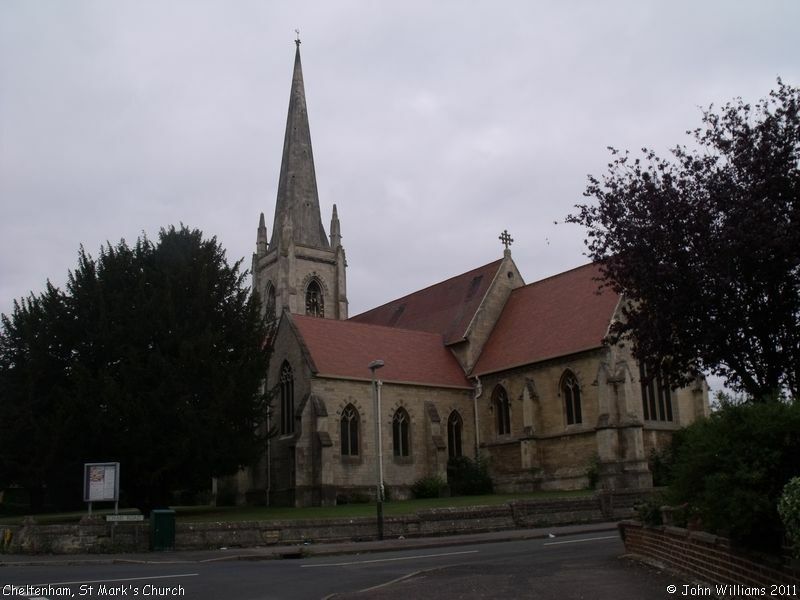 The ecclesiastical parish of St Mark's was created in 1860, its new church was begun the same year, dedicated for worship in 1862, and completed in 1866. It was erected on land that had been part of the Libertus estate, a housing development established in the 1850s. 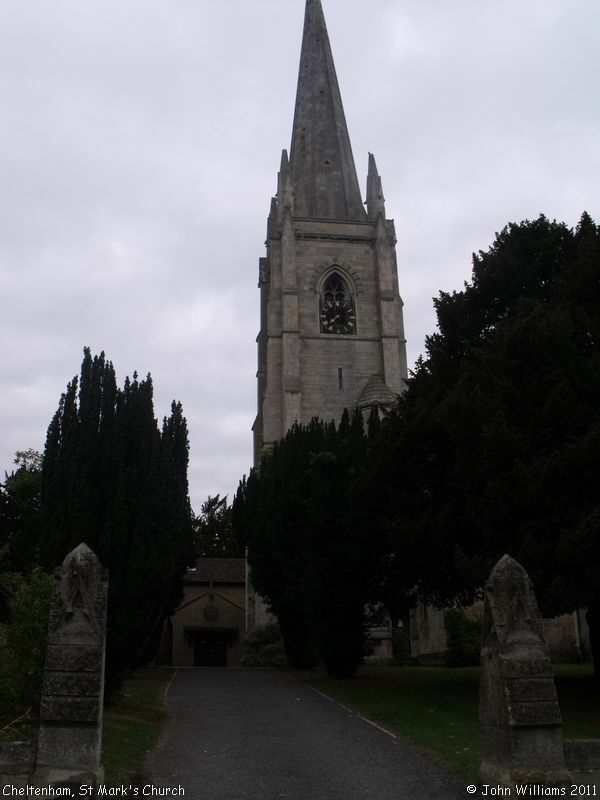 An Historical Gazetteer of Cheltenham tells us "this development, in the area later called St Mark's, was the first venture of the Cheltenham & Glos. Freehold Land Society, a Liberal-inclined group one of whose aims was to increase enfranchisement by promoting freehold ownership. The 15 acres, originally fields ... were near Lansdown Station, fronting the turnpike to Gloucester, and were to have provided 62 plots. This purchase was made in 1850, and by June 1851 was being referred to as the Libertus estate." St Mark's still gives its name to this area of Cheltenham. It is also a Grade II Listed Building - see the British Listed Buildings website for details. St Mark's Church, Cheltenham shown on a Google Map. Information last updated on 1 Sep 2011 at 10:10. Please also remember that whilst the above account may suggest that St Mark's Church remains open and accessible, this may not remain so. This Report was created 28 Mar 2019 - 23:54:37 GMT from information held in the Gloucestershire section of the Places of Worship Database. This was last updated on 7 Feb 2019 at 07:45.